Happy Monday! Hope you all had a great weekend! The summer has arrived here in Sweden and in the summer I love to swim so thats why I would like to share 10 amazing swimming pools around the world. Watch and enjoy! 1. Joule hotel in Dallas. The pool extends beyond the building, out over the sidewalk above the 1500 block of Main Street! Visit their website! 2. 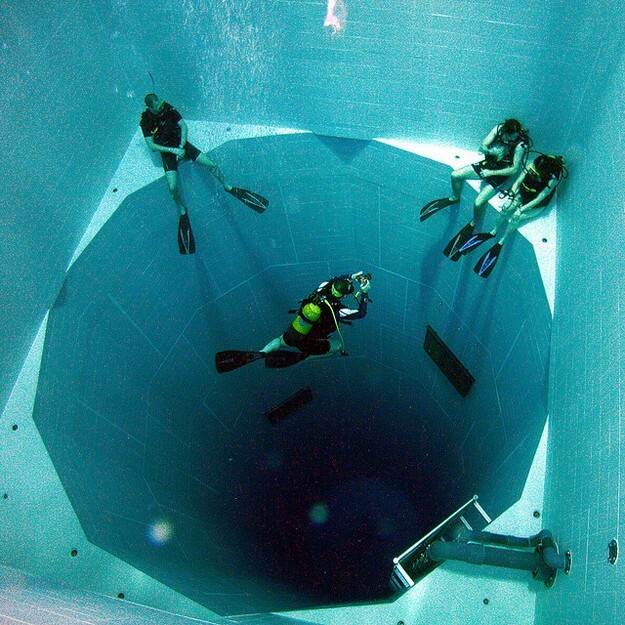 Nemo 33 is the deepest indoor swimming pool in the world. The portal is located in Brussels, Belgium. Its maximum depth is 34.5 metres (113 ft). Visit their website! 3. Shaw House by Patkau Architects. 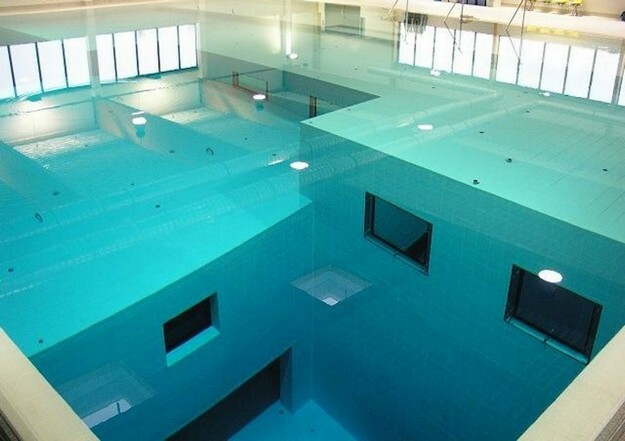 Check out this amazing transparent glass bottom pool. The Shaw house is located on a narrow waterfront property on the south shore of English Bay, Vancouver, Canada. Visit their website! 4. Hotel Caruso, Italy. 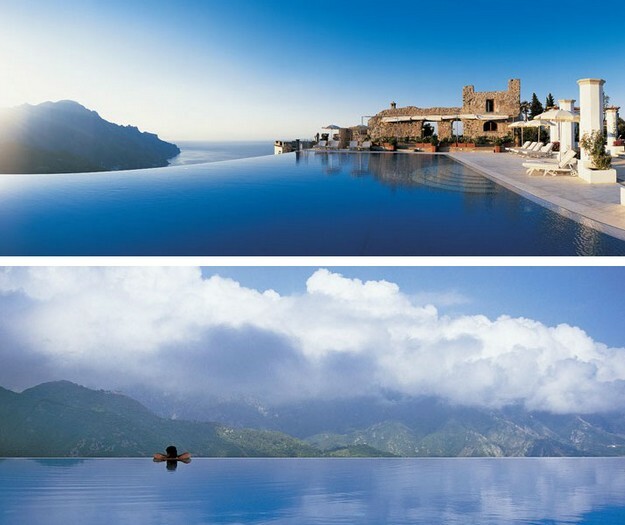 The sublime infinity swimming pool. Visit their website! 5. World’s largest swimming pool. It is more than 1,000 yards long, covers 20 acres, had a 115ft deep end and holds 66 million gallons of water. 6. Guitar Shaped Pool. This amazing swimming pool shaped like a guitaris designed and built by Canadian Aqua-Tech Company. 7. 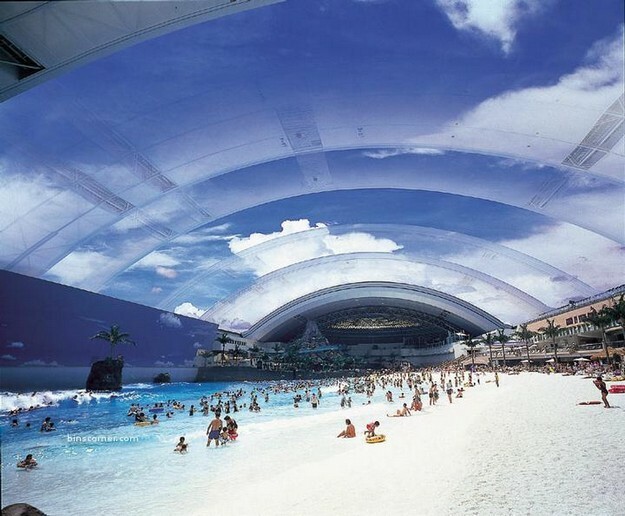 Ocean Dome – The biggest indoor swimming pool in the world. located in Miyazaki, Japan. It’s 300 meters long and 100 meters wide, and it’s located 500 meter from the sea. 8. The Sarojin Luxury Khao lak Resort. One of Thailand’s finest boutique hotels. Visit their website! 9. Skypark Swimming Pool. The Marina Bay Sands in Singapore has recently offered a unique swimming pool in the world. Designed by architect Moshe Safdie, this pool placed at 200 meters high above the three buildings of the hotel impresses by the view it offers with a rich decoration. Visit their website! 10. Ubud Hanging Gardens Hotel, Bali. Visit their website!